I really do love my blog and love writing. I enjoy sharing our life with my readers. I also work a full-time day job. That means I am sitting 8-12 hours a day in front of computer, typing. This leaves me with sore, tight muscles. But I never knew just how tight they were until I tried out the ChiroDoc Trigger Point Self Massage Tool. Within the first few moments of trying the massager I realized just how tight my upper back was. I had no idea the strain I had been putting on myself working such long hours. 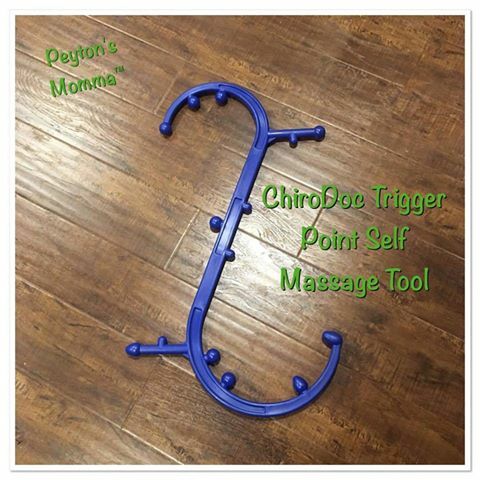 The ChiroDoc Massage Tool enabled me to reach those knots and tight muscles on my own. Anytime I wanted to. I was able to work on knots and tight muscles when I wanted to. Wherever I wanted to. With all the nubs I can reach any knot and work on it till I can get it to release or at least improve. Now when I am working extra long days I try to remind myself to take breaks and stretch. And I try to take time and use the massage tool to keep my muscles from becoming too tight and cramping. Being a single parent I do not have the time to go for a massage, though it would be nice! I don’t have a few hours of me time that I can pamper myself. 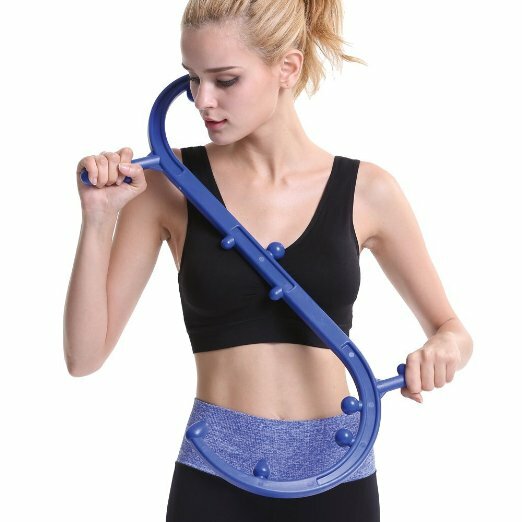 But I can find 10-15 minutes before bed to use the massage tool to work out the knots and soothe the muscles that I have aggravated throughout the day. The massage tool is easy to store when I’m not using it. I can prop it up in a corner, store it in the closet or lean it up anywhere. It really does not take up much space. If you have sore muscles and are looking for a way to work the knots out at home you may want to consider the ChiroDoc. It’s easy to use, you can use it by yourself and with all the nubs you can work out the knots on your own.